The Beta 21 movement was the fruit of a collaborative effort, named the Centre Electronique Horloger, which got underway in 1962 and was sponsored by over 20 leading Swiss watch brands. The prototype movement debuted in 1967. In 1968, a consortium of Swiss manufacturers pooled their resources and manufacturing capabilities to mass produce the calibers. The first watches containing the Beta 21 movement arrived on the market in 1970. 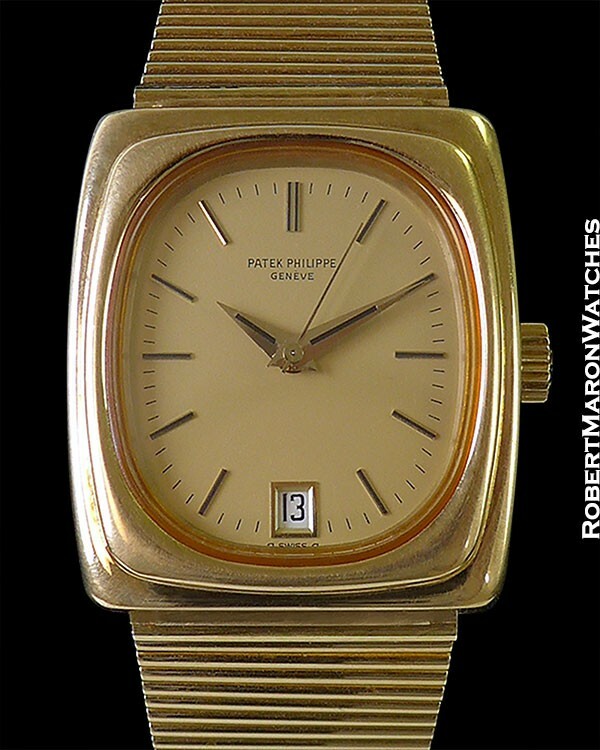 This reference 3603 Patek has a rectangular 18k case which measures 37mm long by 34mm wide by 10.8mm thick. The crystal is sapphire and the case construction is two part. 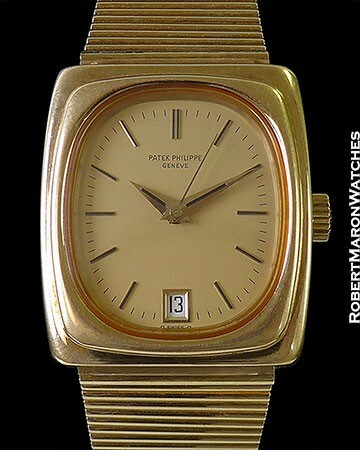 Stepped bezel and original Patek signed 18k crown. Original and rare gold Sigma dial with applied golden hour markers, date window at 6 o’clock framed in gold, original golden dauphine hands and center sweep seconds hand. 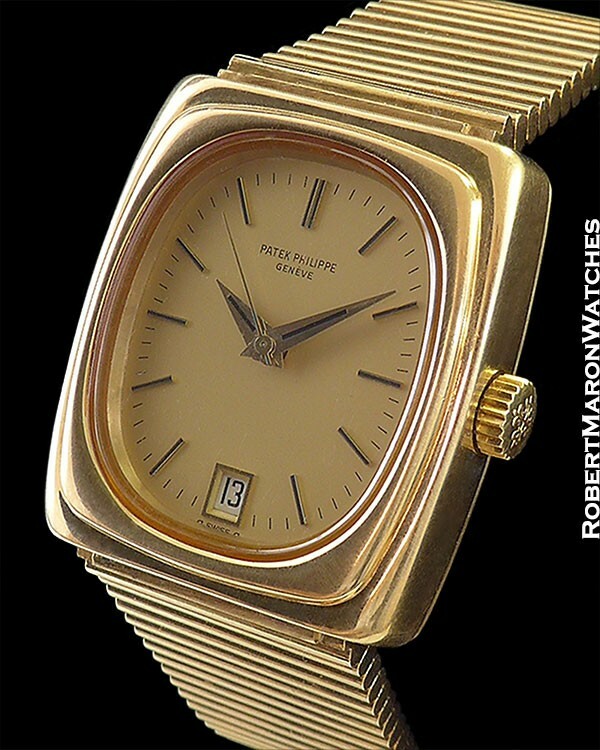 Watch is in mint original running condition on uncut full-length 18k Patek Philippe rouleaux bracelet and will fit up to an 8 inch wrist.